Incite your customers to buy complementary products related to the ones in their cart, and increase your cart average value. 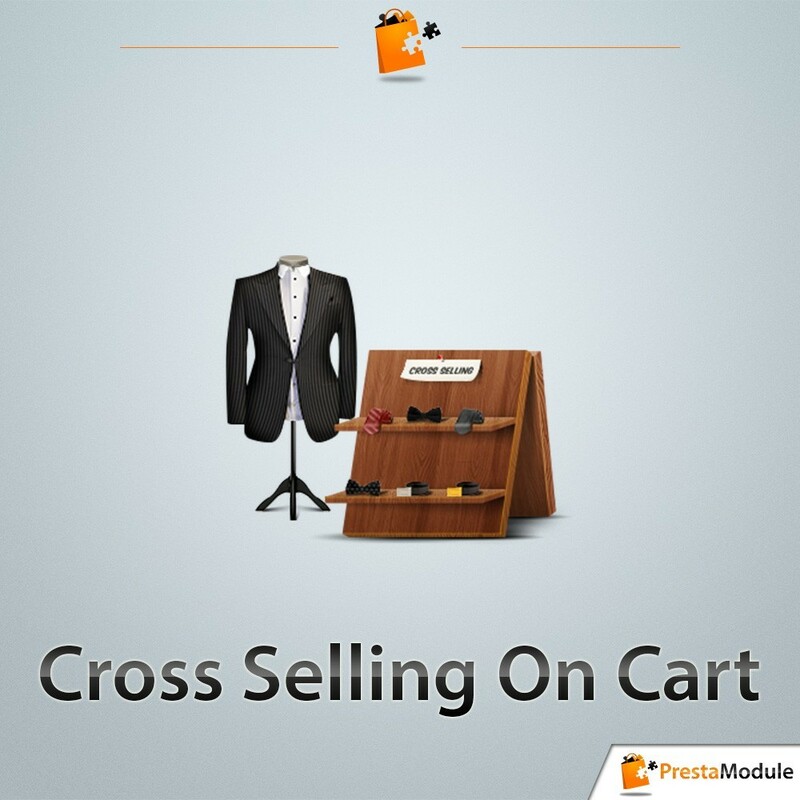 Cross Selling On Cart acts as a real virtual advisor and allows your customers to take advantage of relevant recommendations, allowing them to be accompanied in their purchase intent. It allows you to define combinations of products in order to suggest them to your customers once they are about to order one of them. From this product combination, you can precisely conduct your customers by avoiding the risk to propose bad suggestions. 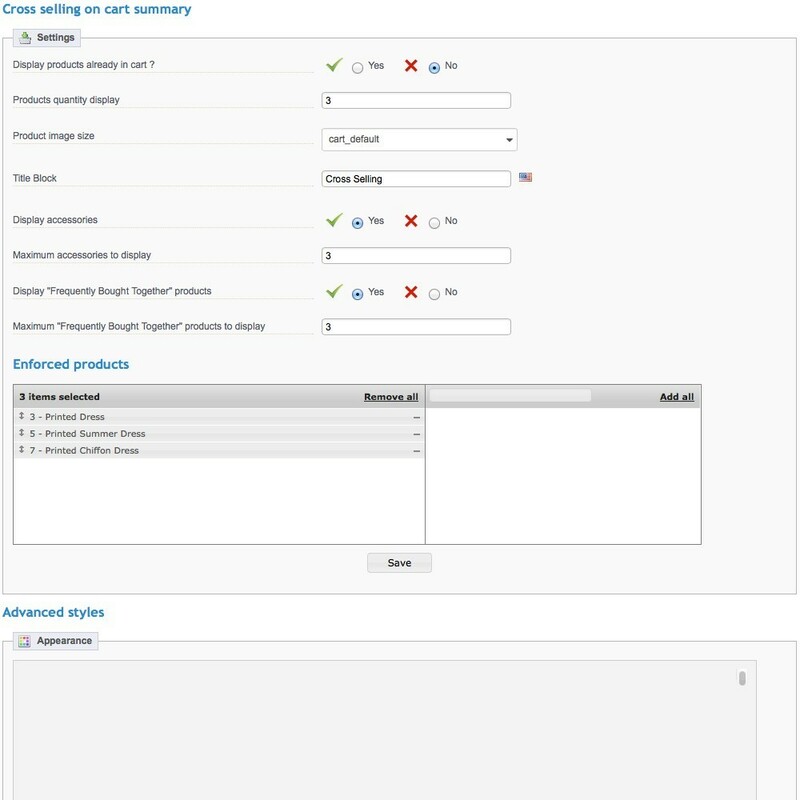 Further more, complementary products can be added directly from the order process page, and prevent cart abandonment rate. Compatible with Modal Cart 3 ! 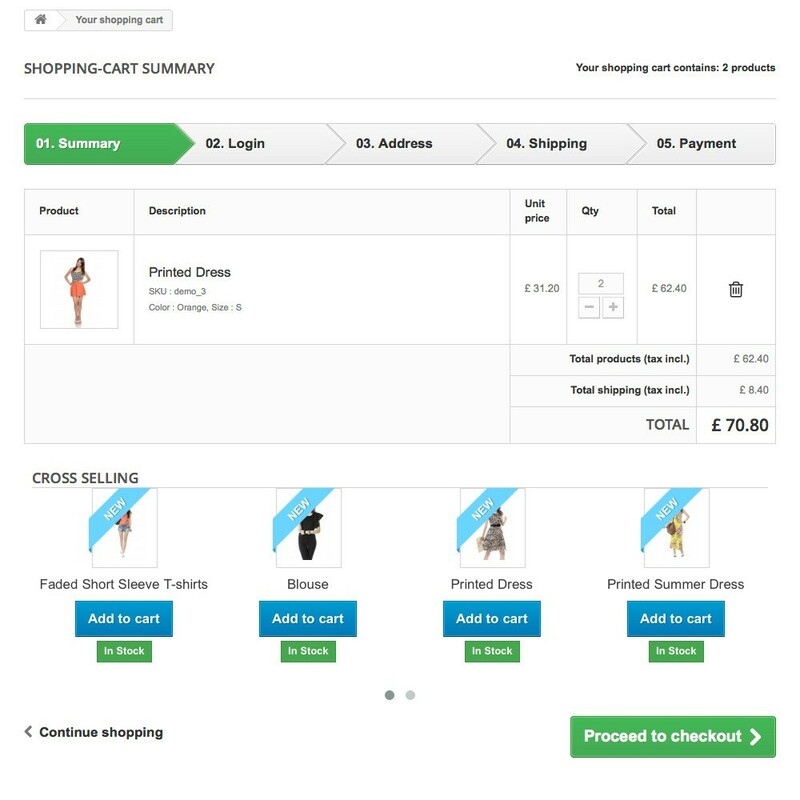 If Modal Cart 3 is installed on your store, you will be able to offer your complementary products on add to cart action into the confirmation window.